One of the genres I have most experience with are time management games, these games were usually bigger and required much more work than the average mary game. They were also games that allowed for more design freedom and because of this, time management is a genre I’ve become very fond of creating. 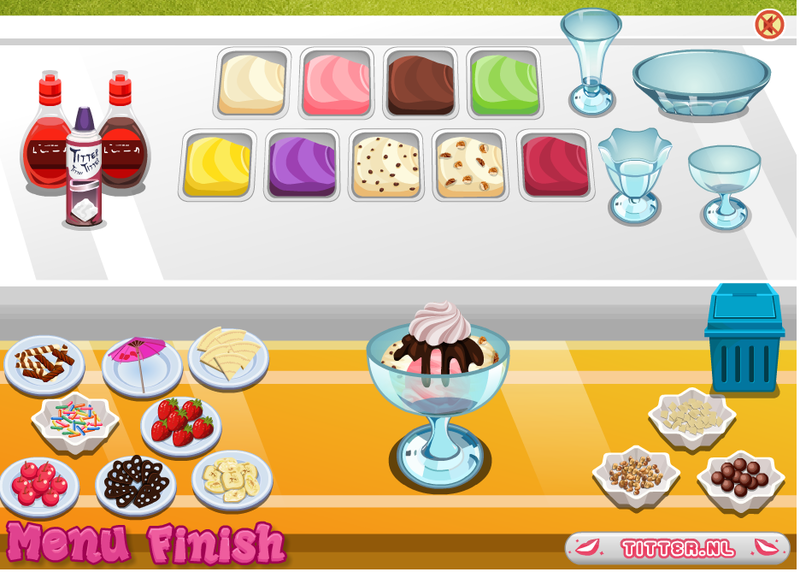 Dog Hotel was an effort to make the “my sweet..” game series more like a game instead of a toy. The objective of the game was to fulfil the needs of the dogs by watching their expressions and following a set series of actions. The game would get increasingly difficult by adding more dogs to the field which would have a limited time to be responded to. The player could counter this by buying extra caretakers. At the end of each level the player would be awarded a score depicting how quickly they helped all the dogs. Dog Hotel was a fairly unique game because of a few reasons. It was another attempt to implement micro transactions into flash games. The player was able to unlock the last two levels (which contained the last two dogs) through use of mochi coins and could also buy the last caretaker with these coins to make the game easier to complete. Mochi was later removed in dog hotel 2 (Which is the exact same game as Dog Hotel 1) due to the company behind it changing ownership and changing their strategy. Hamster Hotel is part of the hamster series on mary.com. 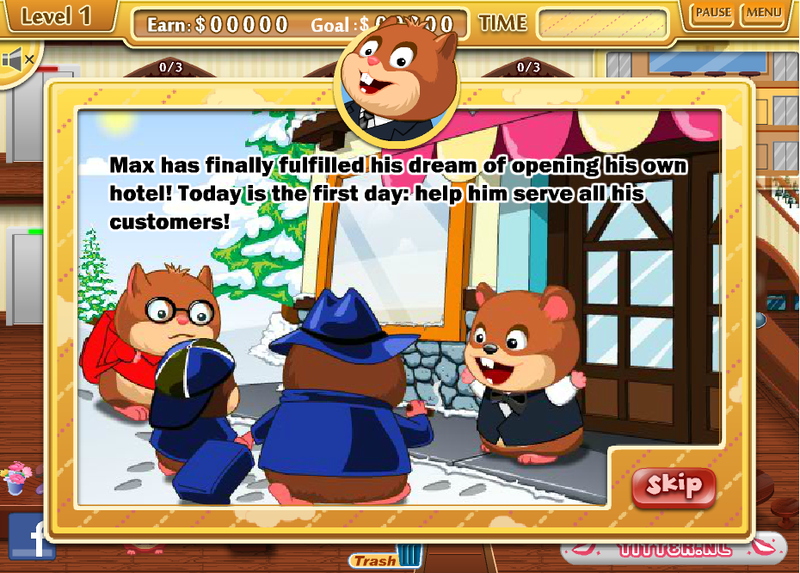 The Hamster series are all time management games that revolve around Max the hamster’s dream to open successful businesses in which he serves other hamsters. 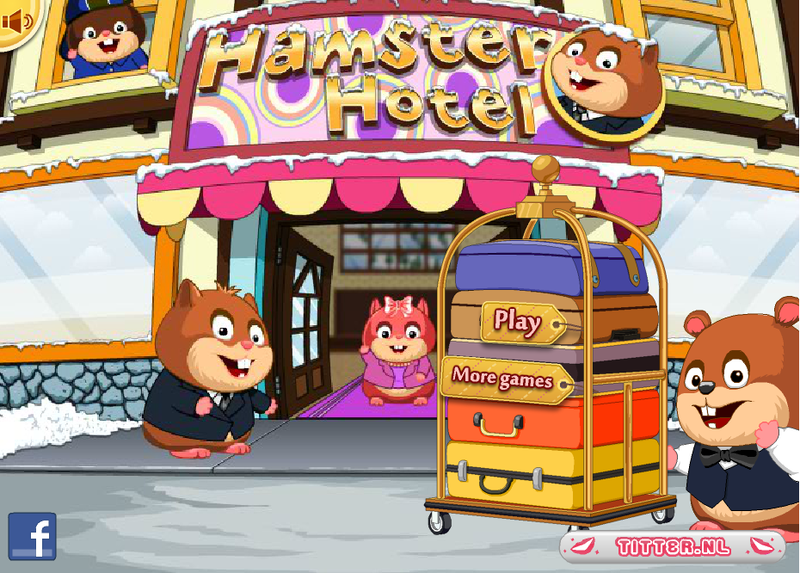 Hamster Hotel was one of the bigger games on mary.com which meant that it required a lot of planning. 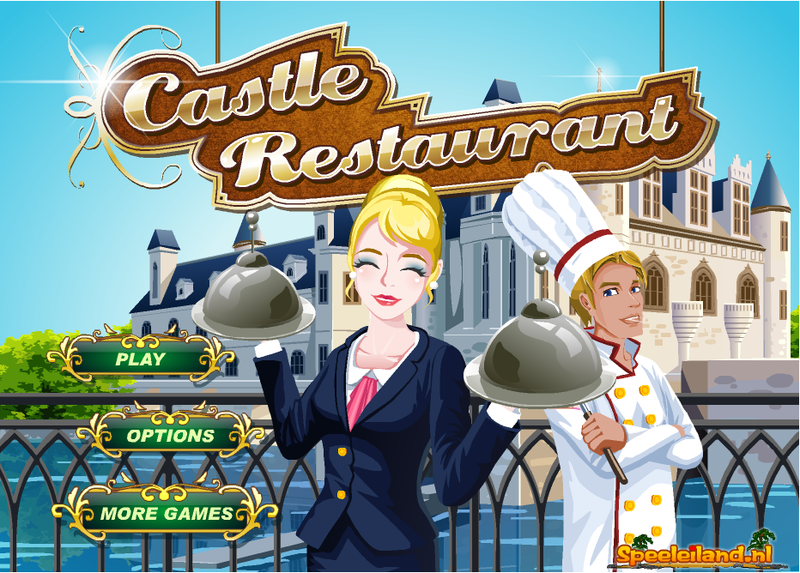 It was built on top of the Castle Hotel game and made some improvements and adjustments to the original game. 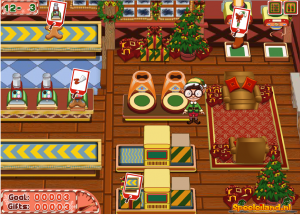 The bottom floor was expanded with a restaurant where the customers could sit and order meals and instead of having all rooms in one screen the player was able to look at the top rooms by clicking the window at the top left of the screen. 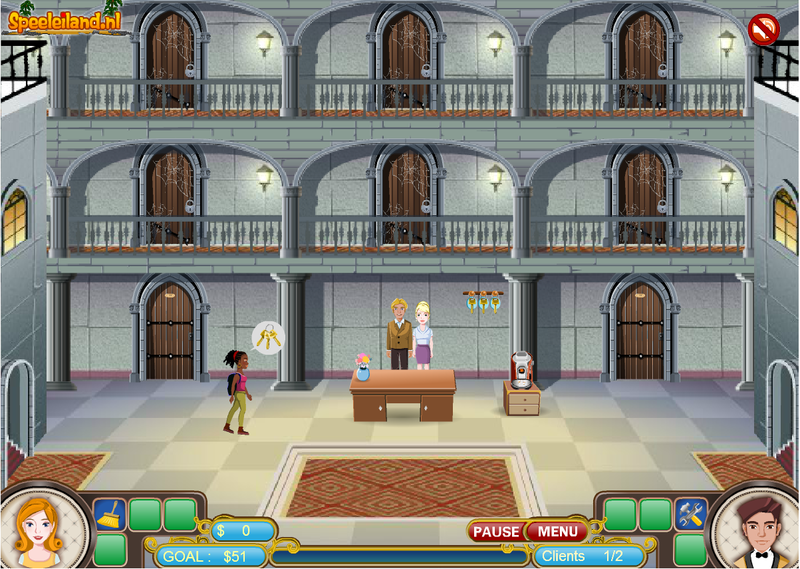 Like Castle Hotel, the player would receive a set amount of customers each level and be responsible for their well-being while they were in the hotel. The player has to send the customers to the appropriate rooms, bring them their luggage, food and drinks and clean up after them. Progressing further into the game increases the number of services offered, the difficulty and number of customers and the number of rooms available. Successfully helping all clients would result in access to the next level and more money to buy upgrades, which would in turn make levels easier or result in even more money. The challenge of designing for this game was in making such a complex set of mechanics and unclear feedback into a coherent whole which could be enjoyed and intuitively played by our targeted audience. 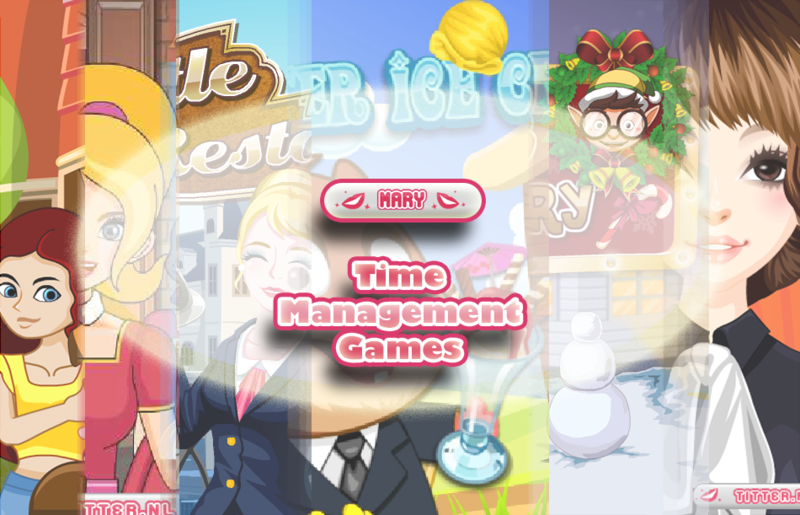 Another game from the Hamster series, this one revolves around ice cream and is slightly less like a time management and more like a cooking game. There is still a stream of customers that will come in with orders and who will get upset when their order is not filled quickly enough, but as soon as the player clicks the counter the restaurant interior disappears and the player can focus on making the ice cream in detail. The game is level based and every level the orders get more complicated by the unlocking of new flavours, cups and extra items. The game also has a freemode in which the player can use the ice cream counter as she pleases and is able to save and print the resulting fantasy ice cream. 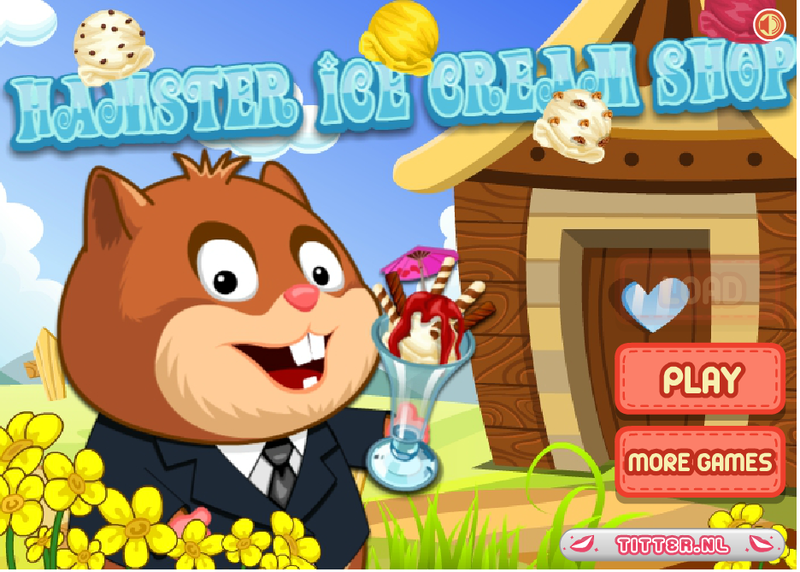 Hamster Ice Cream shop was a complex game that required a lot of detailed designing in terms of level design, difficulty curve and the freemode seemed to be a particularly hard thing to communicate to the outside development team. The Fashion Shop series are time management games that lets the player run their own fashion stores. The games have simple gameplay. 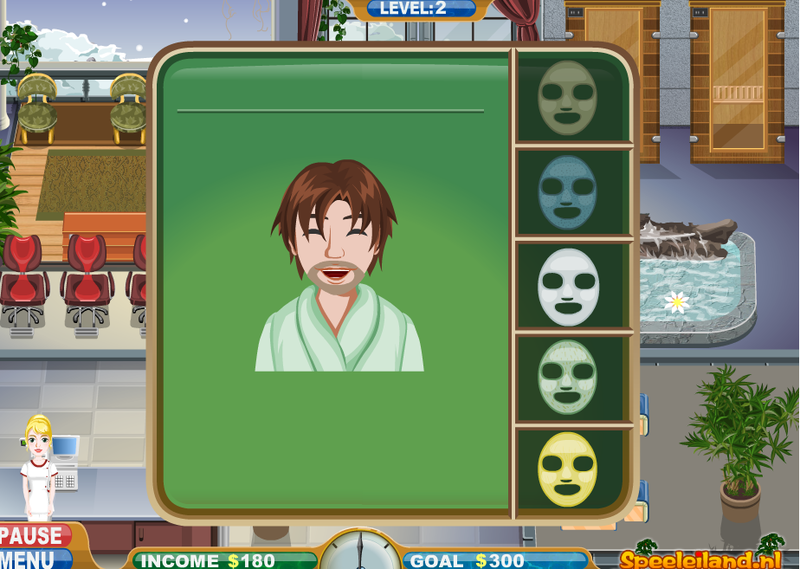 The player clicks on customers, dresses and booths to sell dresses. The games are all level based. 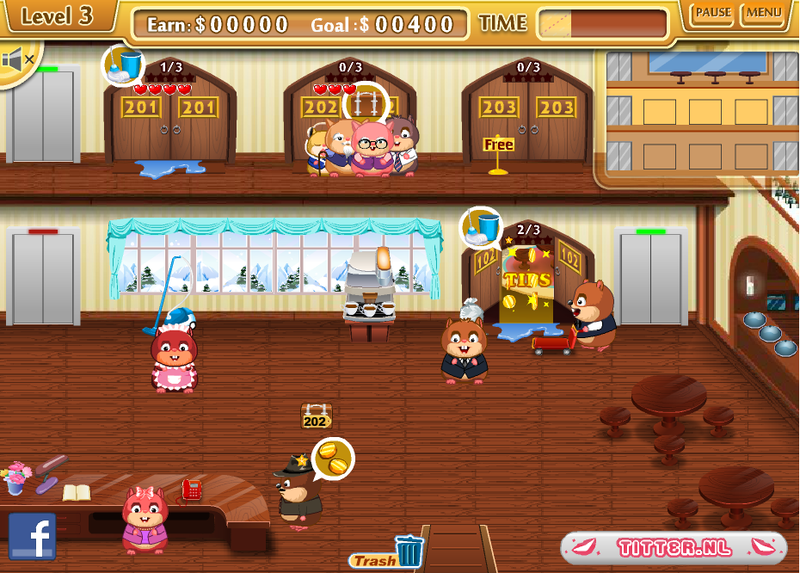 By completing the daily targets the player is able to progress in the game and buy upgrades and decorations for the shop. The first one, Wedding Shop was one of the first mary.com games I worked on and It was already mostly completed by the time I got to work on it. Looking back at it, it’s clear to see the original designer spend little time thinking about how the game would work and who it was meant for. It was far too complex for the target audience and provided too little feedback. I would have liked to fix the issues in this game but the company schedule allowed no time to make adjustments. Fortunately I was able to take the ideas I had for improving this game and used them in the sequels, Gala and Party shop. Each of these games improved on the last by adding new types of customers and more meaningful / appealing upgrades all of which meant the player had to make more intelligent choices throughout playing. A time management series built around a couple who likes to start new businesses, Castle Hotel was the first game in the series and one of the first games I worked on. The game was in full production when I was assigned the project and being not only so far along but also one of the biggest games on mary, I spent most of the remaining time tweaking and testing the difficulty of the levels. The castle games are slightly more complex than the initial mary time management games. Multiple characters preform different tasks in the game and need to be directed separately. This requires the player to not follow a set order of clicks, but to more intelligently look at what the game characters are asking for and adjust their clicks accordingly. It also makes upgrading more challenging because the player has to identify bottlenecks in the game and upgrade accordingly. The game series started out with very little narrative but because they were intended to be a series I wanted the player to have more attachments to the characters by getting to know them a bit better and giving them more depth. Each game would introduce relatively more back story than the last. Even though the castle games are all of the time management genre, they are very different in terms of setting and gameplay. 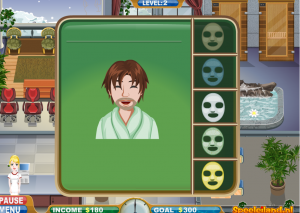 The Spa game for instance has a lot of mini-games that need to be managed in between helping customers. Where as the Restaurant game was much more straightforward with waiting on customers and gathering plates. Castle Restaurant was also the only game which was used as a test for in-game purchases. 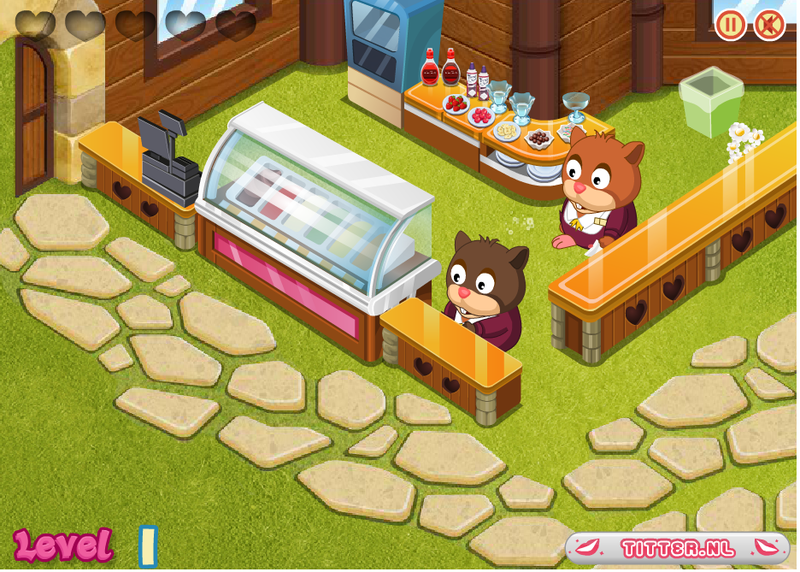 The game used mochi coins to buy ingame money, better waitresses and a special music player to soothe the customers. Sadly mochi is now no longer usable in the game, but it can still be seen in the upgrade screens. 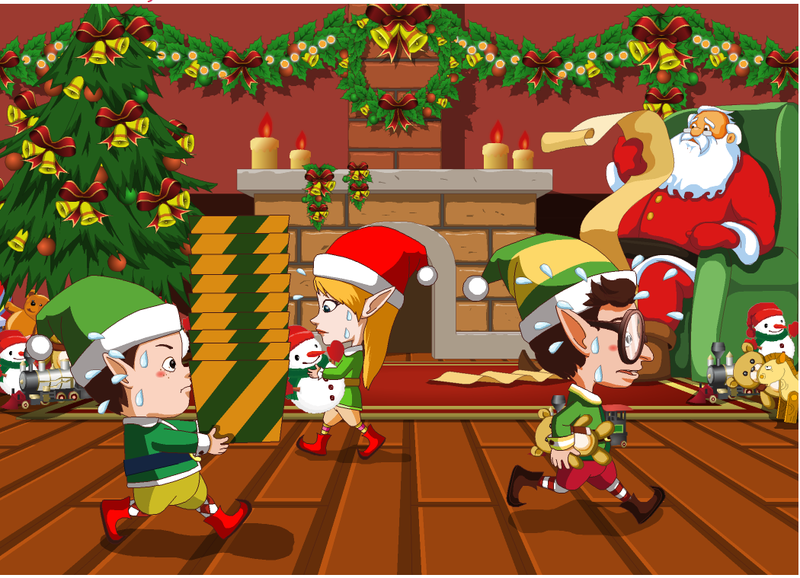 Santa’s Factory was the first game I got to design by myself while working for mary. It was an ambitious project based that had a very strict time schedule as it had to be done before the first of December that year, which gave me only 3-4 weeks to work on it. The reason it had to be done before that time was that the game had 24 levels which would unlock like an advent calender. 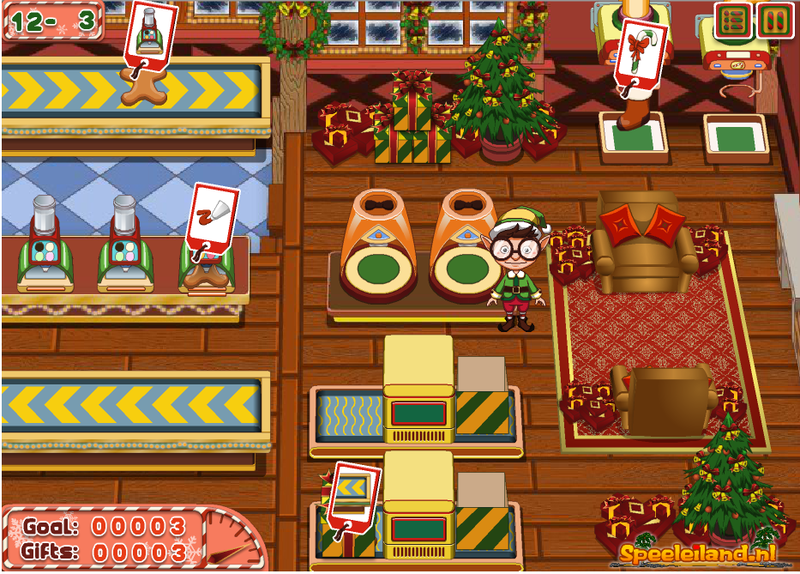 The game itself was a fairly complex time management game, it used the foundation and features that where already present in Castle Spa and revolved around getting various gifts ready for Christmas. This meant decorating them, filling them with candy, wrapping them up and sending them out to the sled. Every level would add to the difficulty by adding new machines to operate and new presents to complete. Which would make the player come back the following day to see what would be the new feature in the game. A lot of things went wrong on this project and I learned a lot from it, mostly in terms of communicating ideas to a foreign and non-English speaking team and how to get more out of a game on a tight schedule. Due to lack of time and many misunderstandings between myself and the developer, the game never became quite how I envisioned it and still had a lot of issues when it was launched. Santa’s factory can be found here.